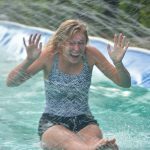 Create a customized Water Slide by working together with The WaterBlob® to develop a unique design that meets any unique specifications your facility requires for Water Slide placement. 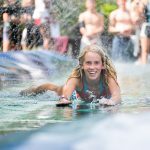 It will be a great aesthetic addition to any waterfront, and bring all ages of friends and family together for one unforgettable lake experience. 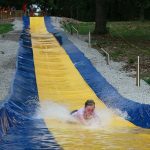 We work directly with camps, resorts, and families to develop a slide that is perfect for your space and budget. Contact us today to tell us about your specifications! 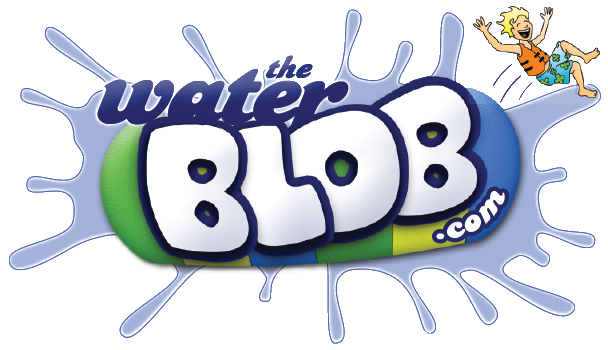 What do 225 feet of pure, liquid awesomeness feel like when it’s 105 degrees outside and you’re zooming downhill with your arms stretched out like Superman, being sprayed by the hundred streaming water spouts and landing in a bodacious, cataclysmic splashdown? 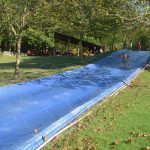 Answer: Cardiac Falls at Kanakuk Kamps in Branson, MO. There wouldn’t be any enjoyment sliding down the vinyl without the presence of water, but with such a long stretch of vinyl, a trickle from a hose won’t suffice. PVC pipe can be mounted along the sides so riders are sprayed all the way down. 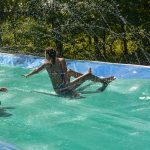 At the bottom of the slide, you may want a catch pool to provide adequate braking as well as the thrilling splashdown.